This recording was not edited , samples are not converted in those typical ready to cook packs. Recording is sorted to different tempos order. You are welcome to edit those takes by yourself in a way it fits your sampler or DAW. At background of solos you can hear some soft almost unhearable percussion loop/ It will help you to put those ravish sitar tracks to perfectly fit your track. Do you like new musical experiences? Know what a sitar is? 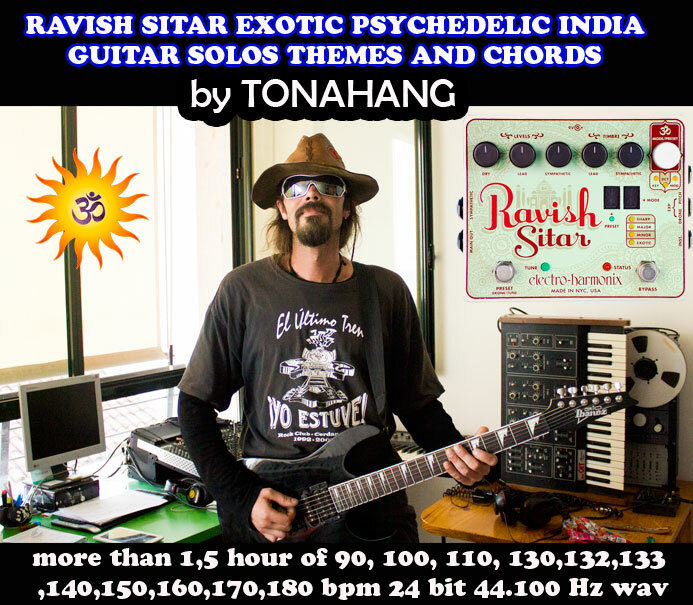 This amazing music sample library that showcases hundreds of string bending, ear tickling, mind melting Indian-style psychedelic sitar music will bow you away! This professionally created and expertly designed sample library of sweet sitar music will send music producers and DJ’s around the world off in new directions of musical creativity. Whether you have a music project that you are working on or you just want to sample some of the finest Indian-style sitar music for the first time, this awesome sitar sample buffet will be all the ear candy you need to gain a serious appreciation for the fin art of sitar music. The sitar dates back way before the 60’s but the cool stylings of this sitar player will make you think your mind just too a trip back in time to a simpler, easier, time… with lots more chemical stimulation! To grasp the intricacies of psychedelic music, one need not turn on, tune in, or drop anything; you just need to check out this fantastic collection of sitar music that will set your ears and your mind ablaze! With hundreds of sampling opportunities to check out in this incredible library, you can’t go wrong. If you are an avid audiophile, music collector, or music producer, you should not miss out on this fantastic chance to get in the groove with sitar music sample from one of the best sampling libraries ever seen!